Confidence is important to all but for men it seems this is the one thing they will lack with the start of hair loss or thinning hair, as if your lives weren’t hard enough. Now you have to deal with the unspoken ‘hair loss’. During your 20s and 30s, that’s when you men are gifted with losing your hair. Why? Because of the stress of your lives, the stress of putting food on the table, or the stress of thinking about the stress you will have when you start to lose your hair? If you’re stressing about ageing and the effects on your hair. Don’t. Hair loss is a problem that affects over 12 million people in the UK and Ireland alone. (Yep, even the women!) In fact, around 80% of us at this exact minute in time will for some reason be stressing over our hair! To get to the root of the issue you need to know and understand why you lose your hair? For most people it can be genetic- this doesn’t mean you can blame your father! Other factors such as stress, lifestyle choices or even medications can result in the thinning of hair or hair loss. Once you understand why you ‘are the chosen ones’ that’s when we are able to help you take your next step. So, apart from wearing a wig, what else do we have to work with? Well, you guys have a little advantage. We know we your hair is going to start thining and an early stage, and we know the symptoms… Just in case you didn’t know! For men, male pattern baldness is the most common form of hair loss! Your thinning will begin at the temple and crown of the head and will eventually recede until the two collide. So, as soon as we see that recede work its way across your head, we can help you get to work! How do you ask? With the help of one of our specialist products of course! Who are we you ask? Introducing you to Hairloss Ireland! We are renowned experts that specialise in hair loss products and all-around hair problems. Hair Loss Ireland studied and studied hair to its tiniest strand and know what works and what doesn’t. We have an array of products that not only offer a service but offer a life changer. How you ask? 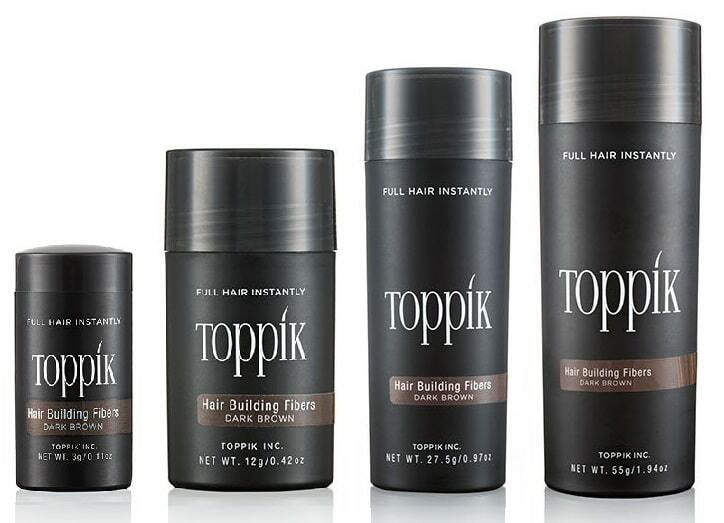 We know what men want and what your hair needs! For you men, we have to get on top of hair loss before you are forced into getting a hair transplant! Now, I know that hair products aren’t the macho-est of things, but let’s face it; if everyone had a perfect head of hair, they wouldn’t exist. So, we need to man up and handle this like a man! Fill your cupboards with products, fill your head with hair. 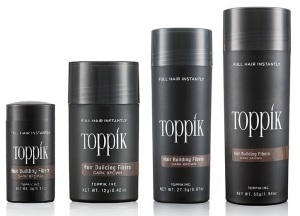 Our Toppik products are specialised in thickening our hair. So, at the onset of hair loss, it’s a perfect choice! Not only does it thicken the hair, it gives it a new lease of life! We have an array of products that can help change lives and help you get your confidence back again! With just a small amount of shampoo, conditioner, hair thickening spray– you have the hair of a new man. Remember, real men have awesome hair.